On 12 May 2017, SESEC convened a Cybersecurity Standard Roundtable Meeting. More than 20 experts, scholars, and representatives from enterprises in cybersecurity field attended the meeting. The theme of the meeting was the new Cybersecurity Law, relevant standards and their influences, and experts from UNI-PARTNER, SIEMENS and ORACLE shared their understandings and analysis on the development situation of the system in their presentations. 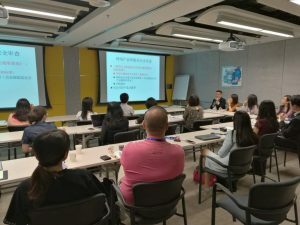 They presented the evolution process of the law, the trend of the relevant regulations and standards, and the constructive suggestions for enterprises to deal with the rapid development of the system. They also introduced the status of SAC/TC260 (Cybersecurity Technical Committee), including its organization structure, standardization activities, and achievements in recent months. Furthermore, the speakers elaborated on three ongoing standards that will support the Cybersecurity Law. After the presentations, the participants discussed the influences that the Cybersecurity Law and relevant standards will exert on their business, and made in-deep communication with each other. The platform provided them an opportunity to exchange the up-to-date information obtained, which deepened their understandings on the everchanging system, so that they could take measures to lower the risks in the future.